During the holiday season, your loss prevention program does not need to be greatly altered; it only requires a few "extras" to make certain that everyone is a little more aware and prepared to prevent potential loss. 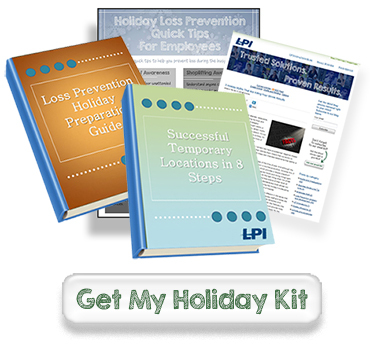 As leaders in the loss prevention industry, LP Innovations has developed a Holiday Loss Prevention Kit to help you prepare for the holiday season. Our kit includes a variety of materials and information to help managers and employee understand the nuances that come with holiday shopping. The focus during the holiday season is to make sure everyone is prepared to handle the increased possibility of key areas of loss prevention.